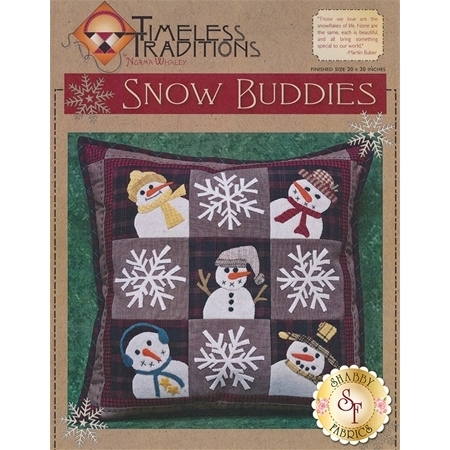 This fun nine patch pillow applique project is just the accessory for your winter decor! 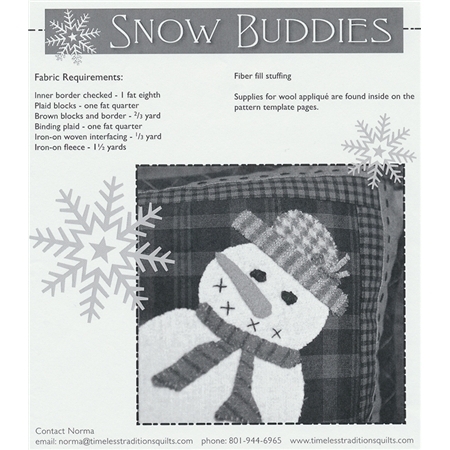 Felted wool and rustic homespun plaid cotton create this group of smiling snowman buddies. Pattern includes instructions for finished pillow size 20" x 20".